Serving Jericho New York for Over 17 Years! Jericho computer repairs done right. Long Island Computer Repair will come to your home or office and get you back online fast. Long Island Computer Repair Long Island Computer Repair is Jericho's leading computer repair provider. Founded in 2000, Long Island Computer Repair offers Business Network Consulting services information technology solutions to many small and medium-sized businesses in the Suffolk and Nassau Counties in Long Island. Our Business Network Consulting services strategically focuses on supporting mission-critical systems through our proven technology solutions. At Long Island Computer Repair we pride ourselves on getting IT right for our customers the first time. If you call Long Island Computer Repair in Jericho, that is exactly the kind of service you will receive -- we guarantee it. 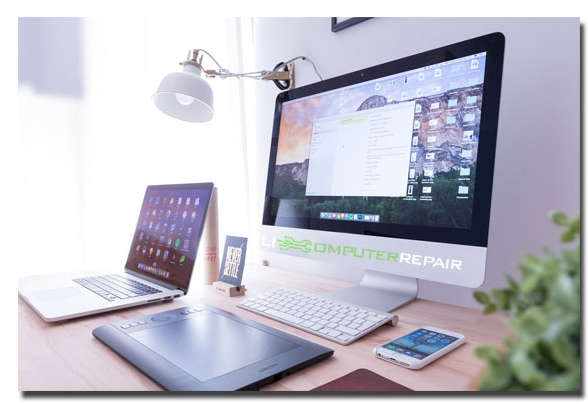 Long Island Computer Repair provides in-home computer service in Jericho, onsite business computer service in Jericho, and over the phone IT support. Browse our website to get a full list of computer repair services we offer. We will give you clear set price so there's no surprises when you hire LI Computer Repair. We're proud of our expertise and ready to answer your questions. Long Island Computer Repair provides professional and affordable computer support, computer and IT solutions to all of its clients in the Jericho - Long Island. We repair all brands & models of PC Computers, Laptops, Macs and Notebooks. Dell, HP, IBM, Lenovo, Sony Vaio, Toshiba Laptops, Alienware, Compaq, Gateway, Acer, Veritek, Emachines, and all PC Computer Systems are welcome at Long Island Computer Repair. Experts in Microsoft Windows Servers from version 2000 to Microsoft Windows 2016. We support Microsoft Exchange, Peachtree, Quickbooks, custom medical software, law office software, accounting software, and all Microsoft products. At Long Island Computer Repair, our technicians are IT professionals, and expert in all the different IT technologies. We have the training, knowledge and experience to tackle any problem you're having with your network, computers, servers, peripherals, or handheld devices. We also understand the challenges that technology can sometimes present to our clients. We know that if something isn't working like it should be, it can create a major disruption in your day to day life. 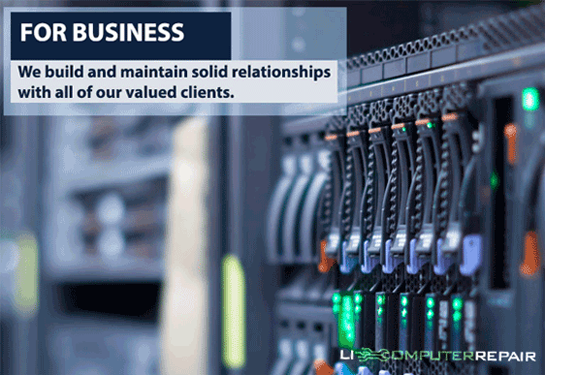 Long Island Computer Repair provides IT services from your general end-user support to more advanced tasks such web hosting and server maintenance as part of our small business IT support. Let Long Island Computer Repair take care of your technical issues so you can concentrate on taking care of business. If you are a home user who needs their computer repaired, upgraded, or just need some new software installed, we can help. Check out our list of services and let us know exactly what you need. All it takes is one simple call. You can always trust that you’ll be dealing with computer home repair expert at Long Island Computer Repair. Even if you’ve tried fixing it yourself, or are worried you’ve made the problem worse, give us a call. We're happy to answer your questions, or set up an appointment to come to your home and fix the problem. Schedule an appointment to get help on site, or call/email/text us for a faster response. We use powerful software to share your screen and get you help with a minimal wait. Rest assured knowing that our advanced technical knowledge, and training will ensure your workstations are secure, and optimized for maximum performance..
Long Island Computer Repair provides IT support services, IT hosting, and data backup to businesses and non-profits in Long Island. Our services are designed to help the business owner Grow, Manage, and Protect the organization they've worked so hard to build. Computer Repair Long Island offers your business many options when it comes to your office server, including Windows Server 2008, Windows Small Business Server 2003, Windows 2003 Server, Exchange 2003, and more. Call us today.